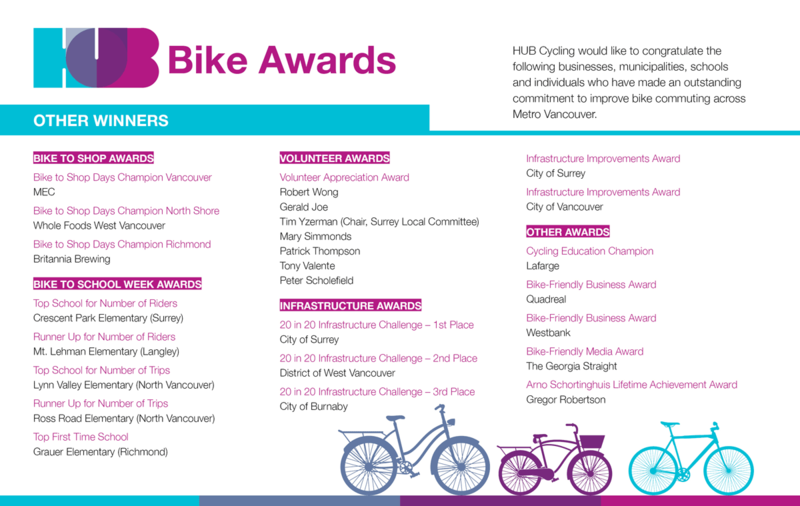 The HUB Bike Awards is an annual celebration of organizations and individuals that are making biking better across Metro Vancouver. Thanks for coming out to our 6th annual event and for all of those making a difference in their communities to make biking better. We're looking forward to celebrating a new round of winners at next year's event... keep up the fantastic work! 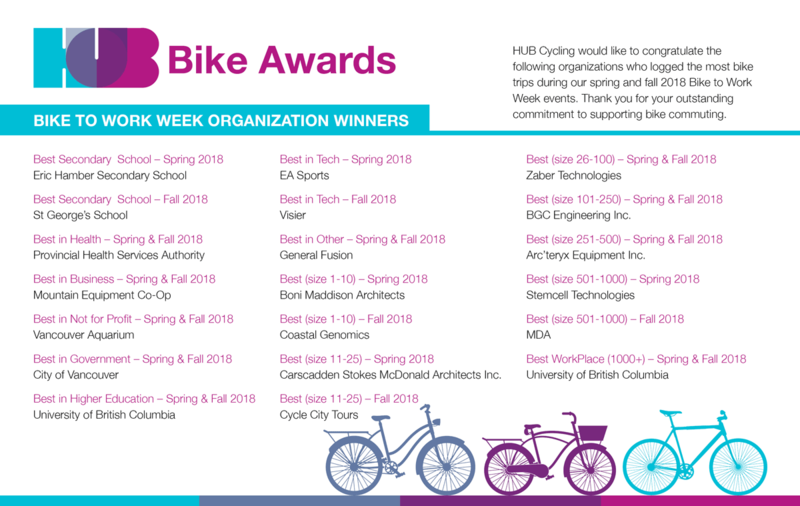 Congratulations to all of our 6th annual Bike Award Winners! 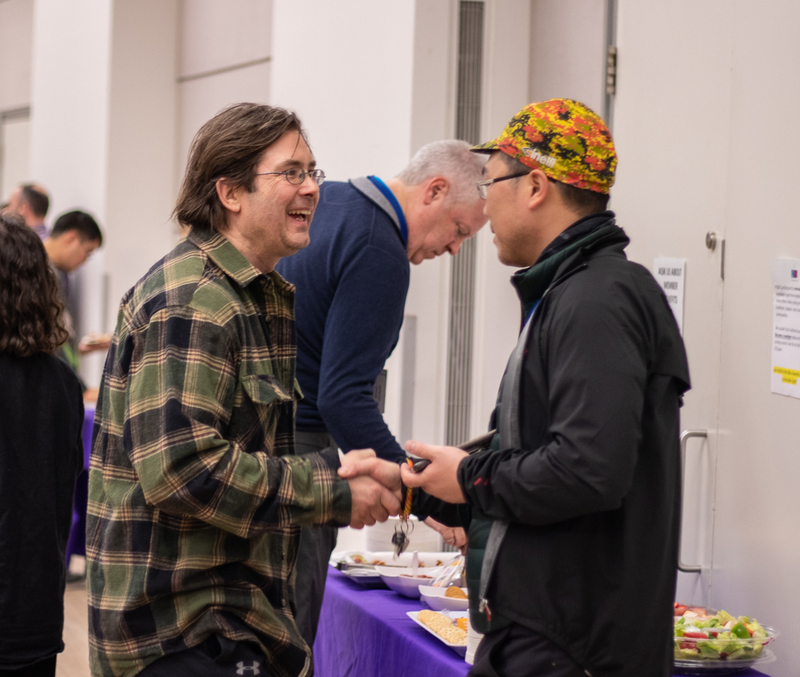 Photos are available on our 2019 Bike Awards Facebook album. 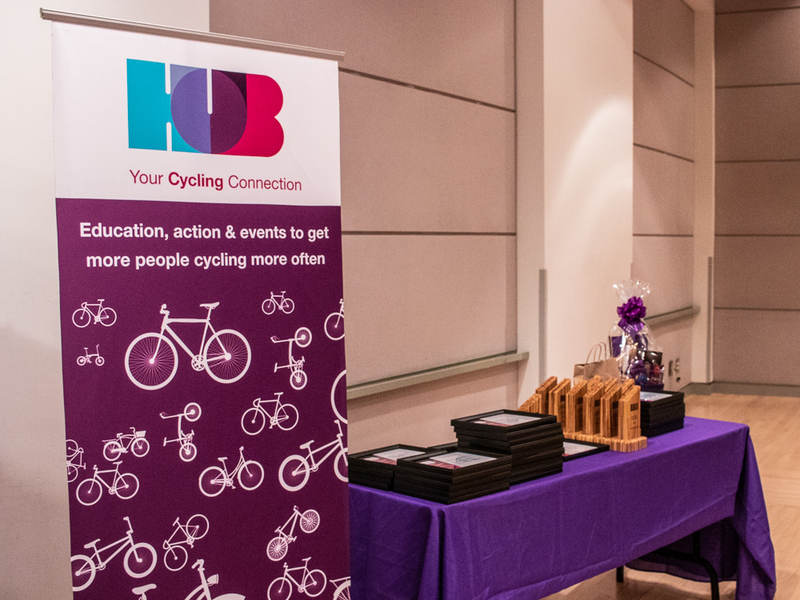 If you're an award winner, and would like a copy of your photo, please email events@bikehub.ca. HUB Cycling is honoured to be able to name a Lifetime Achievement Award after Arno Schortinghuis, memorializing his lifetime of dedication to improving cycling conditions and bettering people’s lives. Each year we will be recognizing a lifetime of cycling achievement. 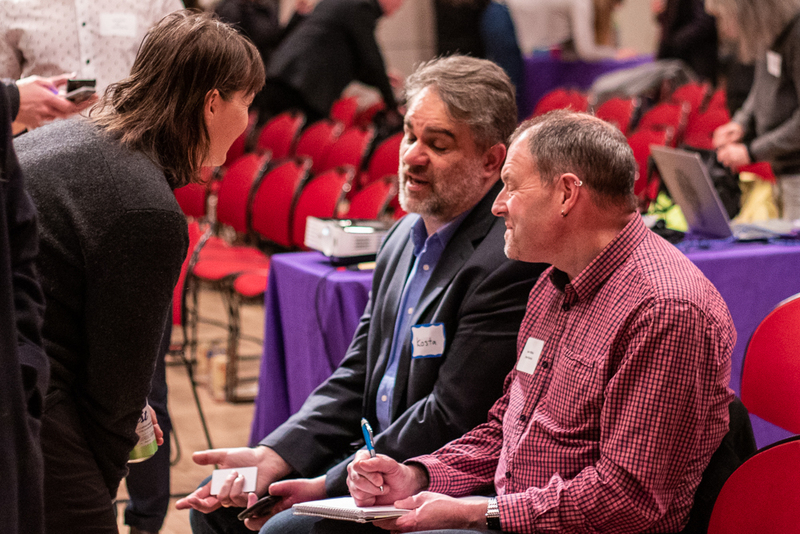 This year we are very pleased to present the award to an individual that lived cycling personally and politically, making a huge and lasting impact on cycling in Vancouver. Moving past the fears and carmageddon calls from so many, to show leadership and approve and build the largest outlay of protected cycle lanes in the city’s history. We are proud to present the first annual Arno Schortinghuis Lifetime Achievement Award to Gregor Robertson. Click on the images to see the photo gallery.